Is a family history of type 2 diabetes associated with an increased risk for developing diabetes and more severe disease? IDegLira is an insulin degludec/liraglutide combination that has been shown to improve glycemic control in type 2 diabetes. Is it a safe and effective option for older patients? 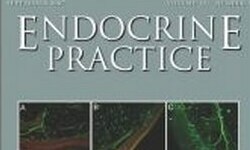 Learn how to successfully manage thyrotoxicosis -- from preconception to the postpartum period. Might gender affect the outcomes and prognosis of Graves disease treatment with antithyroid drugs? What is meant by the term 'adrenal fatigue', and how should you counsel patients who present with this concern? ALTERED BRAIN ACTIVITY IN PATIENTS WITH DIABETIC RETINOPATHY USING REGIONAL HOMOGENEITY: A RESTING-STATE fMRI STUDY. THE EFFECTS OF HYPONATREMIA ON BONE DENSITY AND FRACTURES: A SYSTEMATIC REVIEW AND META-ANALYSIS. ENDOCRINE OUTCOMES OF TRANSSPHENOIDAL SURGERY FOR PITUITARY APOPLEXY VERSUS ELECTIVE SURGERY FOR PITUITARY ADENOMA. PREDICTIVE MARKERS FOR POSTSURGICAL MEDICAL MANAGEMENT OF ACROMEGALY: A SYSTEMATIC REVIEW AND CONSENSUS TREATMENT GUIDELINE. 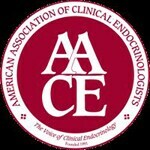 Mission Statement: Endocrine Practice , a peer-reviewed publication published six times a year, is the official journal of the American Association of Clinical Endocrinologists.